Gorgeous black mushroom pleat shades dress this one for a formal night! Lovely candle drip covers for concealing the taller sockets. NOTE: We currently use a larger 4in. 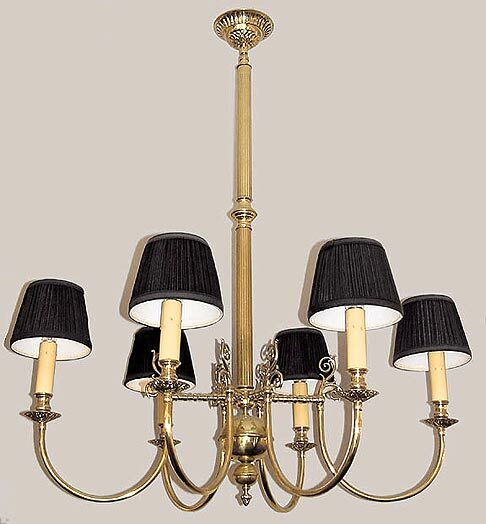 diameter 'center body' for these heavier style fixtures with 5 or more arms.